The Toppobrillo Multifilter is a new / traditional state-variable design based on a great modern quad VCA chip, the SSM2164. 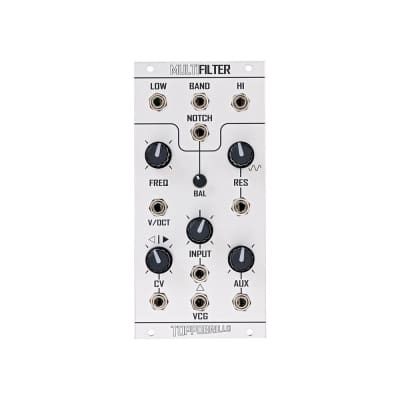 this, in part, helps make the Multiflter what it is, a clean, quiet, stable and very controllable filter at its core, without limiting its palette, well suited for processing anything you can run through it. much attention was paid to the range and feel of the controls, inputs and overall usability, including all options standard and more; a very versatile processing tool with amazing sound in a small package.